Extend the life of your hydraulic cylinders by 3x with Seal Saver. Protect your cylinders from damage caused by contamination and debris build-up. Installs in less than 10 minutes with no disassembly required. Proven tough in steel mills, offshore drilling and construction industries. Eliminate Hydraulic and Air Cylinder Maintenance Issues with Seal Saver. Stop the never-ending cycle of repairing and replacing cylinders—and costly downtime. Seal Saver hydraulic cylinder boots protect seals and cylinder rods from premature failure and extends the life of your equipment by preventing rod scoring and corrosion. Available in heat, oil, chemical, water, abrasion and puncture resistant materials. Protective Boots for Your Equipment. We design custom-fitted protective cylinder boot covers for the top brands in your industry. Use our search tools to match your product or equipment with the right Seal Saver solution. "The Seal Saver material is extremely durable. We use a Seal Saver on all of our excavators and loaders. In my five years with the company, we've never had to replace a Seal Saver." "I have not put a machine into service without having a "SEAL SAVER" installed on the bucket cylinder. To date, I haven't had a single bucket cylinder failure due to impact damage, dirt, or rod scoring." "The product is so simple to install and works so well. Where was it thirty years ago?" "We were replacing Bridgemaster cylinders at a rate of one per month until we protected our entire fleet of mixers with the "SEAL SAVER." We do not replace cylinders anymore. We will be reaping the benefits of this product for years to come." "I won't put another new mixer in the field without a "SEAL SAVER" installed on it. Acid wash isn't going to damage another one of my Bridgemaster cylinders." "I installed the "SEAL SAVER" on my Bridgemaster and loader cylinders. I haven't replaced or rebuilt a cylinder in over 5 years." Save time and money with reduced maintenance and repairs. 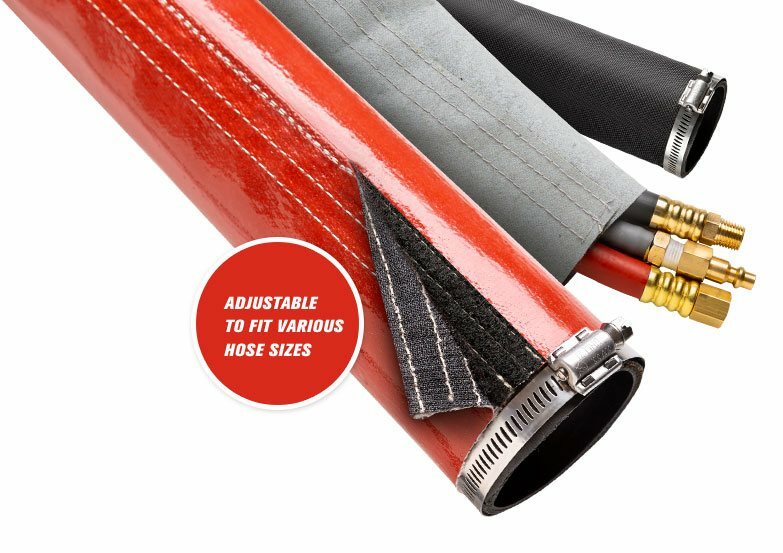 Protect your hydraulic and pneumatic hoses against abrasive wear, dry rot and premature failure. Simple to install and available in three heat and chemical resistant materials to fit your needs. We custom design each Seal Saver solution to precisely fit your cylinder. To request a quote or provide your equipment specifications, please fill out our contact form or call us at 770.509.5833.